Watch out for these new ASUSPRO PCs with features that give all business-owners more reliability, security and flexibility to increase their business productivity in today’s competitive environment. Businesses in the Philippines have challenging IT needs that evolve rapidly from day to day, especially in today’s fast-paced work environments. They also require higher quality and greater reliability than the average consumer, and often have a need for comprehensive solutions tailored for their unique requirements. With its unique position as both the No.1 motherboard brand in the world, and No.1 consumer notebook brand in Southeast Asia, ASUS is now expanding their portfolio of notebooks and desktops in the Philippines with ASUSPRO. Targeted for a wide range of commercial establishments, ASUSPRO is the perfect business solution, from micro-business to large enterprises, as well as the education sector. ASUSPRO products feature business-oriented solutions, such as ASUS Control Center for improved automation of IT maintenance tasks, enhanced hardware and identity protection, as well as TPM 2.0 and chassis intrusion protection. 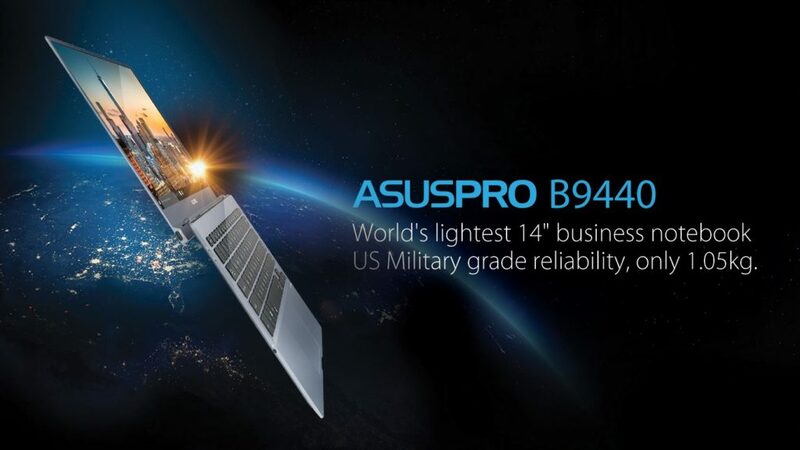 ASUSPRO notebooks are also tested for MIL-STD-810G military grade standards to ensure robust operation and unrivaled durability in any working scenario. “With our newest line-up of competitive, reliable and high quality products, 2019 will definitely be a big year for ASUSPRO and our business partners”, declared George Su, ASUS Philippines Country Manager. The B9440 provides ultra-lightness, durable robustness and large display necessary to remain on top of your business anytime and anywhere in the world. Professionally designed in every aspect, the world’s lightest 14″ business notebook is armed with US military grade reliability plus the ingenious 14″ full HD IPS display on a smaller 13″ chassis. 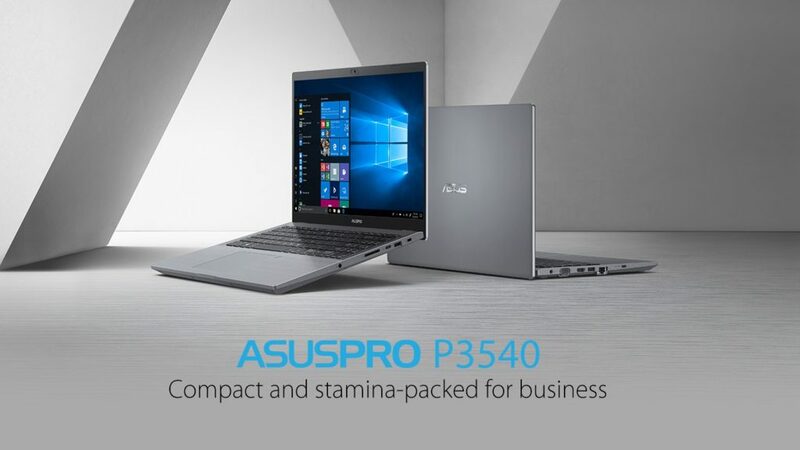 Delivering a perfect blend of performance and mobility, the ASUSPRO P3540 combines non-stop performance and durability. It features up to 16 hours battery life, a full set of I/O ports and military-grade build quality, with a 15-inch slim-bezel NanoEdge display that makes the lightweight chassis superbly compact. It also incorporates a webcam privacy shield, a 180° lay-flat hinge for easy screen sharing, and an ErgoLift auto-tilting keyboard for the ultimate typing comfort. 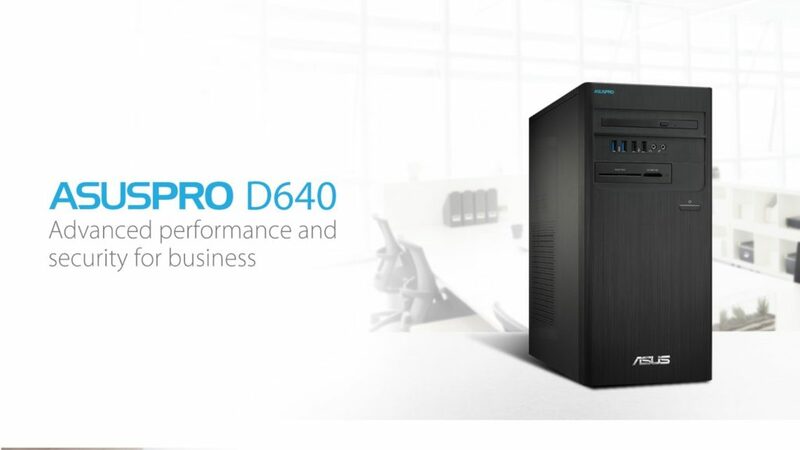 The ASUSPRO D640 commercial desktop is designed to provide the best quality, reliability and usability, and is tested to withstand the rigors of continuous daily use. With multiple features that protect both your hardware and data from any incidents, ASUSPRO D640 has also been certified by authoritative research institutes for its industry-leading performance. 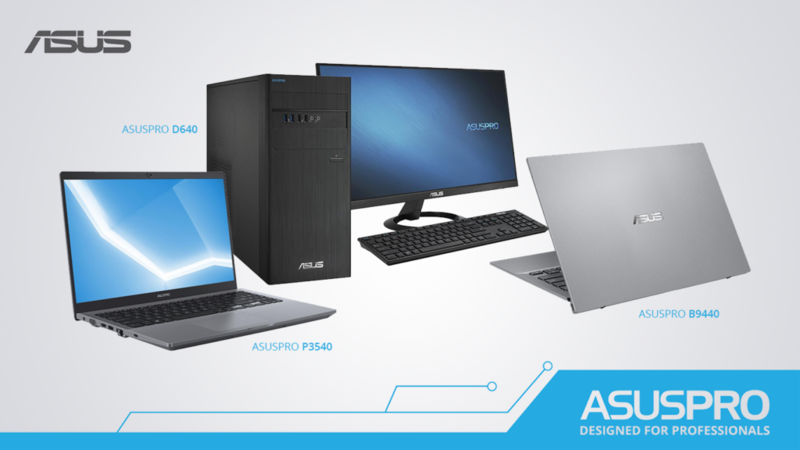 The new line of ASUSPRO commercial desktops and notebooks will be available starting the end of Q1 2019. Stay tuned for news on these incredible new devices on the ASUS social media channels and the ASUSPRO website. Inquiries for ASUSPRO products may also be sent via the official email address – inquiry_philippines@asusph.com.